Attractively present your restaurant’s fare to make customers’ mouths water! 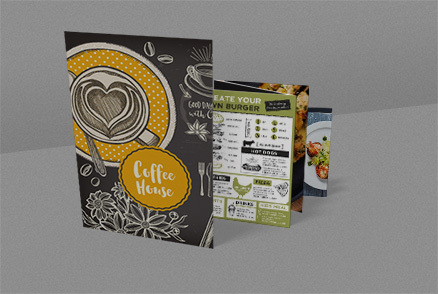 We’ll print your menus in any popular DIN format or square. For a sleek look you can choose matt 300gsm paperboard, which is also available with plastic lamination on both sides for extra protection. If you have a large selection of food and beverages, our folded products have even more room to accommodate them. 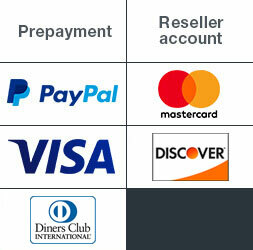 Our order blocks help your servers keep everything under control without forgetting anything. Available with 25, 50 or 100 pages, they have plenty of space for orders of all kinds. 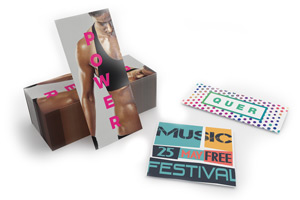 We’ll print them on one side in full colour on lightweight 80gsm recycled paper or white 90gsm offset paper. Each block is glued at the top and backed with a sheet of cardboard to keep it reliably together and facilitate writing. Available in a practical format of 7x14.3cm to fit in any pocket or belt pouch! 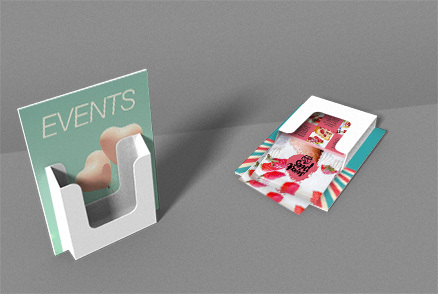 Configured to serve as place cards, indicate table numbers or reservation signs, our A-frame table tents are versatile multi-talents. Decorations can be practical as well – namely in the form of placemats! They are ideal for presenting your range of food and beverages. You can also have them printed with only your logo so young guests can pass the time drawing on them. 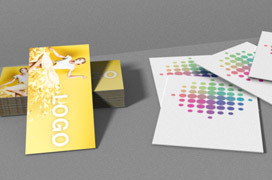 There’s a choice of 80gsm recycled paper or 90gsm or 120gsm offset paper. We’ll print your bespoke placemats on one side in full colour. Cold drinks are a welcome refreshment on hot summer days, but it’s annoying when condensation runs down and forms puddles on the table top. 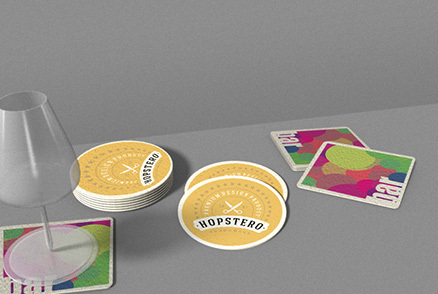 Practical beermats protect sensitive surfaces from water and scratching. 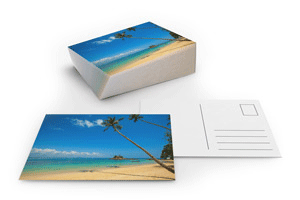 Ours are available in your choice of round or square, made of special cardboard 1.4mm thick. We’ll print them on one or both sides in full colour as you please. Attract attention to your business or restaurant with our portable signs! For promotions, events or simply showing attractive pictures of your dishes. They’re available in sizes from A0 to A2 and extremely effective for generating walk-in traffic. The aluminium frame with chrome-plated corners is lightweight and easy to assemble. 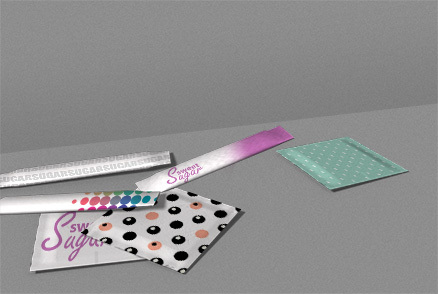 A removable Plexiglas pane protects your advertising from the weather, soiling and scratching. In the hustle and bustle of running a hotel, restaurant or pub, good organisation is a must for ensuring that everything goes smoothly and guests are served fast. Fortunately, many handy aids are available to facilitate this. They start with order pads and extend across menus to placemats and beermats, which protect tables so they can be quickly cleaned and cleared afterwards for the next guests. 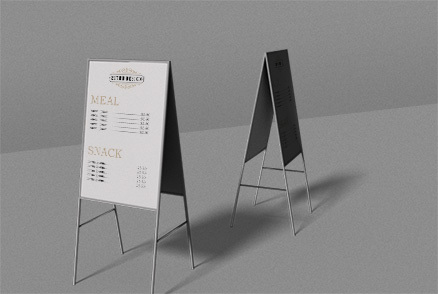 Recruit guests literally out in the road: with portable signs that praise your food and beverages to lure passers-by into your establishment. Then put small flyers in stands on the tables to alert guests to lunch or dinner specials and let them choose drinks right away. Finally, your menus should be attractive and well-organised to make their mouths water and let them quickly and easily find the dish that hits the spot. It goes without saying that you should train your staff well – with good preparation, serving guests efficiently and well is only half as hard. Order pads make sure that nothing is forgotten and let servers record multiple requests at the same time. 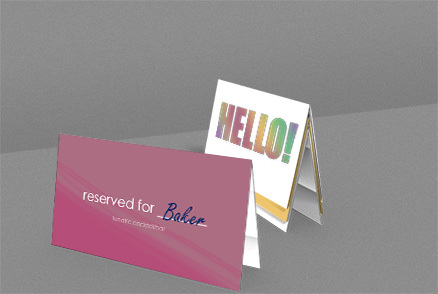 Practical table signs make it easy to reserve tables. 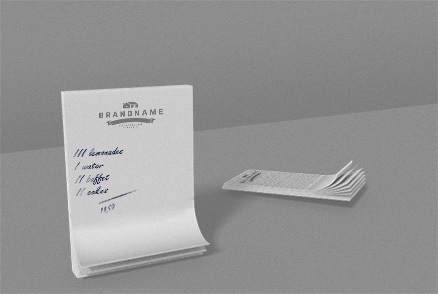 You can inscribe them with guests’ names to make them feel instantly welcome. Ensure a great look. The table should harmonise with your restaurant’s image and style. 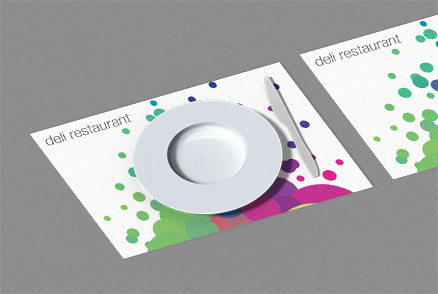 For a successful presentation and simple but effective table decorations, use our placemats, which can be printed with your logo or even your menu if you like. Our flyer stands are also very popular; they’re a great way to put beverage and desert menus within easy reach so guests can consult them at any time. We print all of your hotel, restaurant and hotel articles with a 100% satisfaction guarantee. You want the best for your guests, and by the same token we go all out to supply you with the best possible quality. First-time buyers can order with zero risk because, if they aren’t completely satisfied, they get their money back. And if regular customers ever have any complaints, they know that we will bend over backwards to find a solution to the problem.